The red and white… a Canadian flag. The federal election campaign, coupled with recent compelling reporting in The Globe and Mail about Canada’s military veterans, has stimulated welcome – and much-needed – discussion about our veterans and the ways in which they are treated. Stunningly absent from both accounts is even the slightest mention of what was by far Canada’s most important military activity since 1945: Our contribution to the North Atlantic Treaty Organization (NATO) and the North American Aerospace Defence Command (NORAD) in the Cold War, from 1950 to 1990. It was a massive commitment. Several hundred thousand Canadian military members served in the vital cause of deterring Soviet aggression, thereby joining Canada’s allies in preventing the outbreak of a third world war and the nuclear holocaust that would have ensued. And our Canadian soldiers, sailors, and air officers were good. At one point, the Supreme Allied Commander in Europe, an American, told me, “You Canadians set the standard in NATO.” We were well-trained, well-equipped, and superbly motivated. In spite of unique organizational challenges, we earned great respect from our allies. Our small but powerful mechanized brigade in West Germany was an elite force, given the toughest assignments. Our air force, both in NORAD and in Europe, won numerous competitions, especially with the Canadian-built and -powered F-86 Sabre, considered the world’s best fighter in the 1950s. At sea, our navy showed that it was a quality force. On several occasions, a Canadian was chosen to command NATO’s Standing Naval Force Atlantic. Canada and Canadians paid a heavy price for all this. To put it concisely, our Cold War operations resulted in more fatalities due to military service than in the Korean War, the Balkan conflicts, the Gulf Wars, Afghanistan, and peacekeeping – combined. For aircrew deaths alone, the number was 926. Why has this been forgotten, to the extent that Cold War veterans apparently don’t seem to deserve even a passing mention these days? Then there is the mythology that has arisen to the effect that peacekeeping has been the principal occupation of Canada’s military since the Second World War. Our Blue Beret peacekeepers did wonderful work back when there were real opportunities for keeping conflicting armies apart, but the reason they were so effective is that they had the skills and credibility that come from having been trained for modern heavy warfare. Another explanation for the public silence regarding Canada’s NATO and NORAD veterans is that there has emerged a troubling tendency on the part of some in this country to look upon those who did not fight in a shooting war as second-class veterans. Our job was deterrence, and deterrence worked. We trained for war so that we wouldn’t have to fight a war. It’s a shame that the story has been largely forgotten. On this Remembrance Day, my earnest hope is that Canadians, when they pause to commemorate the many sacrifices that our veterans have made through the years, will give a moment to those whose service as Cold Warriors, although unheralded, really made a difference. Lest we forget. Kent Hehr represented the residents of downtown Calgary in the Legislative Assembly of Alberta for more than seven years. Born and raised in Calgary, Kent’s life drastically changed when, just shy of his twenty-second birthday, while riding in a friend’s car, he was hit by a drive-by shooter leaving him paralyzed. 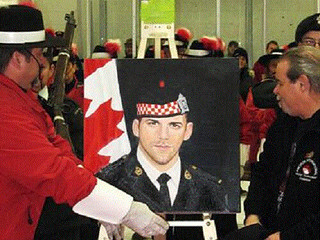 The life-altering injury did not quash his ambitions—while still re-learning to use his fingers, Kent studied at the University of Calgary, earning his Bachelor of Canadian Studies, followed by his Bachelor of Law in 2001. 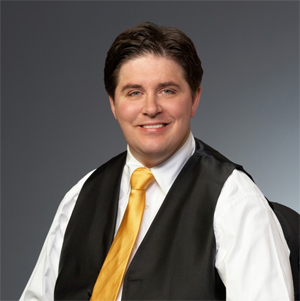 Kent has practised law at the prestigious national firm, Fraser Milner Casgrain, and became an active community leader, working with the United Way and heading the Alberta branch of the Canadian Paraplegic Association. In 2008, Kent was named one of the “20 Most Compelling Calgarians to Watch” by the Calgary Herald. Later that year, he won the race to represent Calgary-Buffalo in the Legislative Assembly of Alberta, a seat he successfully defended in 2012. As shadow minister of justice, finance, education and other portfolios, Kent held the government to account while taking an active role in creating legislation for the future of Calgary and Alberta. As proud supporters of the Canadian military and veterans and in the spirit of Remembrance week activities, I would like to invite you and other Veterans to attend the official launch of VIA Rail's partnership with the Royal Canadian Legion for the National Poppy Campaign. Our CEO will co-host this event with the Dominion President of the RCL, Tom Eagles. This activity will take place at the Ottawa Station on November 6, 2015, at 10 am. People will arrive around 945 and I anticipate that the whole thing will be done by 1100. GUELPH, ON, Oct. 23, 2015 /CNW/ - One hundred years after Canadian Lieutenant Colonel John McCrae penned In Flanders Fields on the battlefield of Ypres, Belgium, the Royal Canadian Mint has issued a $2 circulation coin commemorating his iconic poem of remembrance, as well as a 25-cent circulation coin featuring a life-like poppy design. These coins were unveiled at a special ceremony held today at McCrae House, the birth home of John McCrae. "The Mint has a proud history of crafting coins which honour the many Canadians who have risked or sacrificed their lives in defending our freedoms and values," said Sandra Hanington, President and CEO of the Royal Canadian Mint. "As Canadians across the country are once more preparing to honour our veterans at upcoming Remembrance Day ceremonies, the Mint is pleased to join them in remembrance through new circulation coins." "One hundred years after they were penned on the battlefield, the moving words of In Flanders Fields continue to remind us that the peace and freedom we enjoy every day as Canadians is the ultimate gift of our veterans," said Royal Canadian Legion Dominion President Tom Eagles. 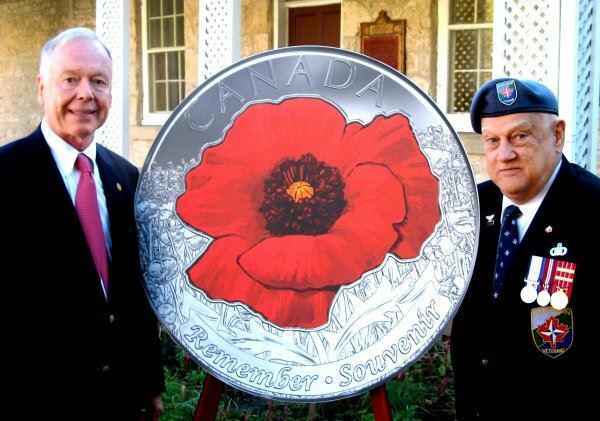 "By collecting the circulation coins issued by the Mint today, Canadians will have a permanent way to remember the sacrifices of all our veterans, as well as learn more about Lt. Col. John McCrae's historic contribution to honouring their memory." Canadians can look for this coin in their change, attend coin exchanges at special events in select locations across Canada and at the Mints in Ottawa, Winnipeg and Vancouver. learning resources from Veterans Affairs Canada! order your own bilingual copies today at no charge. their thoughts on remembrance. Check it out for yourself. this message and type 'Unsubscribe' in the subject heading. Veterans Affairs Canada should have been more transparent and paid closer attention to the impacts on service before laying off hundreds of frontline staff and closing several offices across the country, says Canada’s veterans ombudsman. But Guy Parent also says opposition parties and some veterans groups have been spreading wrong and even “misleading” information, which is confusing Canadians about how former military personnel are really being treated by the government. The interview was timed to coincide with Parent’s fifth year on the job after he took over from the inaugural veterans ombudsman, retired colonel Pat Stogran, in 2010. But Parent was also speaking only weeks before a federal election in which the government’s treatment of veterans could be an issue. The Conservative government has been accused of balancing the federal budget on the backs of those who have served in uniform by laying off hundreds of Veterans Affairs staff, closing nine client-service offices across the country, and failing to fix long-standing problems with the system. Documents obtained by the Citizen in recent weeks have shown a drop in service as the layoffs have brought staffing levels down to their lowest levels since 1998. That includes delays in answering calls to the department’s toll-free line and in processing applications for support from injured ex-soldiers. Parent said the government and department should have been more open to what they were planning and paid closer attention to the potential impacts before taking such actions. “The closing of the offices is a good example,” he said. “Why wasn’t it more transparent? Why wasn’t there maybe a reduction in staffing at those offices before they were eventually closed? That doesn’t mean they were necessarily the wrong decisions, he said. Spending millions of dollars to keep the client-service offices open even though they were seeing only a handful of clients each month was difficult to justify, he said. But the way the cuts were implemented has created problems, Parent said. For instance, after the office closures, the government directed veterans to Service Canada offices, even though Service Canada staff weren’t been fully trained to deal with their issues. Despite the problems, Parent said the Conservative government has made great strides helping veterans in other ways. Those include a number of recent fixes to the New Veterans Charter, the support and benefits system for those who served after the Korean War. Some have said the measures are simply an election ploy, given that many of the issues with the system are long-standing, but the government has decided to act only months before Canadians go to the polls. Parent doesn’t believe such accusations. And even if they are true, he said he doesn’t care. That doesn’t mean he is oblivious to the fact veterans’ issues have become extremely political. Parent would prefer that weren’t the case, but he said it’s the reality when there are hundreds of thousands of Canadians who have either served in uniform, or are related to someone who has served. The advantage is that veterans issues don’t disappear, he said. But it also means they have been used by political parties, veterans advocacy groups and others to push an agenda, which can often result in misinformation being spread. “The opposition critics, for instance, will side with an organization that has a particular negative approach because it fits their way of thinking,” he said. “It makes it difficult for people who don’t understand. It’s misleading. Parent said his office receives about 7,000 calls each year, many of which involve trying to push back against incorrect information spread by others. And while about 2,000 calls lead to investigations by his office, he said there are many instances where the complaint is unsubstantiated or even frivolous. Some have argued Parent is too close to and too easy on the government. For example, unlike his predecessor, the retired chief warrant officer doesn’t hold press conferences to attack the government for failing to meet the needs of those who have served in uniform. Critics say that has rendered him toothless. Parent maintains that a working relationship with the department and the government are essential for instituting real change for veterans both as an ombudsman and in his secondary role as a special adviser to the minister. On behalf of the Honourable Erin O'Toole, Minister of Veterans Affairs, Senator David Wells participated in a commemorative wreath-laying ceremony at the National War Memorial in Ottawa to honour the Newfoundland soldiers who fought and died at Beaumont-Hamel, France, during the first day of the Battle of the Somme. Wreaths are placed next to the Tomb of the Unknown Soldier at the National War Memorial, a deeply sacred site where an unnamed Canadian soldier who died in the First World War is laid to rest, unknown, but never forgotten. Commemorative wreath-laying ceremonies to mark the 99th anniversary of the Battles of the Somme and Beaumont-Hamel were also held in St. John's, Newfoundland, as well as in Beaumont-Hamel, France. · The battle took a terrible toll: of more than 800 Newfoundlanders who went into battle at Beaumont-Hamel on the first day of the Battle of the Somme, only 68 souls answered the roll call the next morning. · The First World War's Battle of the Somme was one of the deadliest battles in military history. · Casualties sustained by the British Army on the first day of the Battle of the Somme totalled approximately 57,500, including more than 19,000 killed. "Today, as we mark the birth of our great nation, we must also remember the Newfoundlanders whose sacrifice and legacy at the Battle of the Somme shaped our identity—our Canada." "It is an honour and a privilege to commemorate the brave Newfoundlanders who fought so vigorously at Beaumont-Hamel on the opening day of the Battle of the Somme 99 years ago today. The sacrifices of these brave soldiers helped allow us to live as we do today – in a country with peace and democracy. Canadians must never forget those who gave their lives for us and for our country." This morning the Legion made a $1,000,000 donation to the Royal Hospital Foundation in support of the establishment of a Mental Health Research Centre to support members of the CAF, RCMP and Canadians. Please see the full details through the links below. Toronto– The Honourable Erin O'Toole, Minister of Veterans Affairs, with Canada Company, will deliver remarks at the Canadian Light Armoured Vehicle (LAV III) Monument Program announcement. The Canadian Light Armoured Vehicle Program will recycle and repurpose up to 250 LAV IIIs used by Canadian troops in Afghanistan that can no longer be used in combat into monuments across the country. The 250 LAV IIIs will be provided to qualifying communities. Here is the latest news we have with respect to the new program within the Federal Public Service relating to the Priority Hiring of Veterans. I hope you will find this presentation both interesting and one that acknowledges what we have been striving for - the fair and equitable treatment of our Veterans. The announcement today by the Minister of Veterans Affairs of the Earnings Loss Benefit for Reservists is a much welcomed step in addressing one of the long standing inequities that has caused hardship on Reservists and their families. "Progress has been slow coming but it appears that change is now starting to take place" states NATO Veterans Organization of Canada President, Gord Jenkins. ". "That we have had two back to back announcements by the Minister of Veterans Affairs addressing recommendations of the Standing Committee on Veterans Affairs is astounding, especially given the inaction that has marked the Government's progress to date. With today's announcement, the Reservist is finally recognized as being on the same level with their Regular Force counterpart as it applies to the Earnings Loss Benefit". While this announcement is welcomed, the NVOC is disappointed that is has taken the Government this long to act and in fairness to the veterans who have awaited this change, the NVOC strongly urges the backdating of the Earnings Loss Benefit to the same date as the release of the Standing Committees report wherein it clearly pointed out the change needed. NVOC strongly supports the introduction of new initiatives in response to the fourteen issues identified by the Standing Committee on Veterans Affairs and the Ombudsman's' reviews. We continue to work with our stakeholders and partners in raising the concerns of all Veterans to ensure they receive the services they need. "We are very pleased to see something is finally being done as time is of the essence for our veteran community" adds Gord Jenkins. "There still remain many more important recommendations that await action and we urge the Government to expedite the implementation of the already identified solution which would benefit the Veteran who has been waiting and waiting. Two down - twelve recommendations to go"
OTTAWA, ON, March 9th, 2015 – The announcement today in by the Minister of Veterans Affairs of the Retirement Income Security Benefit, is welcomed by the NATO Veterans Organization of Canada as it is a move in the right direction. That said, it must be pointed out that it falls far too short of the very high expectations held by Canadians that the Government will address the long standing issues facing our Veterans. “While this is a first step, there are still many others recommendations that the Government should have and could have addressed today” says NATO Veterans Organization of Canada President Gord Jenkins. “We cannot abide this piecemeal approach to seeing action on the recommendations of the Third Report of the Standing Committee on Veterans Affairs. NVOC strongly supports the introduction of new initiatives in response to the issues identified by the Standing Committee on Veterans Affairs and the Ombudsman’s’ reviews. We continue to work with our stakeholders and partners in raising the concerns of all Veterans to ensure they receive the services they need. The head of the Canadian army in Ontario visited Brantford in afternoon on February 12, 2015 to preside over an inspection of gunners of the 56th Field Regiment and confer the army's thanks to the city for its ongoing support. 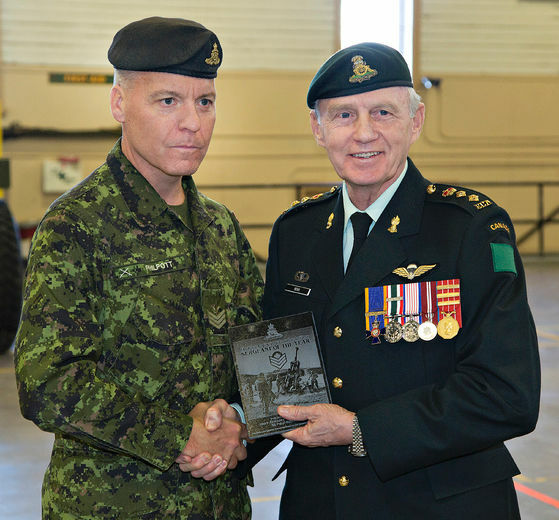 Brig.-Gen. Lowell Thomas, commander of the 4th Canadian Division and a former resident of Brantford in the late 1970s, expressed his thanks to the community and presented a plaque to Mayor Chris Friel. "This community is fabulous in what it has done to support and recognize" the men and women who serve, Thomas said. When soldiers embark on opera tions, both domestic and international, the continued support received from family and community is of the utmost importance, he said. positions at Veterans Affairs Canada. their doctors and a Veterans Affairs case manager. The NVOC team wishes you all a very happy and prosperous new year. · Unit 5 Cambridge Ontario, President Gerry Bryan. The Cambridge Unit laid a Nato wreath at each of the following Royal Canadian Legion Branch Ceremonies: Galt Br.12, Preston Br.126, and Hespeler Br. 272. Pictures of Unit 5 members laying wreaths have been placed on the web site. Unit 7 Whitbyattended Remembrance Day Ceremonies at Chris Hadfield Public School. Unit 7 member Dan Gravelle represented NVOC at the school assembly and Dan can be seen on our web site addressing the assembly. Unit 4 Ottawa/Gatineau and Headquarters Personel were involved in many activities in both Ottawa and in local communities, Our National President Gord Jenkins reports that HQ members attended 17 ceremonies or functions. The Ottawa/Gatineau Branch held their annual Christmas Dinner on Dec.09 with 52 members and guests in attendance. Entertainment was provided by the RCL Br.212 Legion Pipe Band. This band will represent NVOC at ceremonies and parades as needed in the National Capital Region. In the last edition of Regional Round-Up, I encouraged you to forward a brief bio . Ralph Gonyea is the first to step up to the plate and I thank him for his submission. I encourage all of you to get into the act. Ralph is one of our Area Contacts and resides in Victoria. 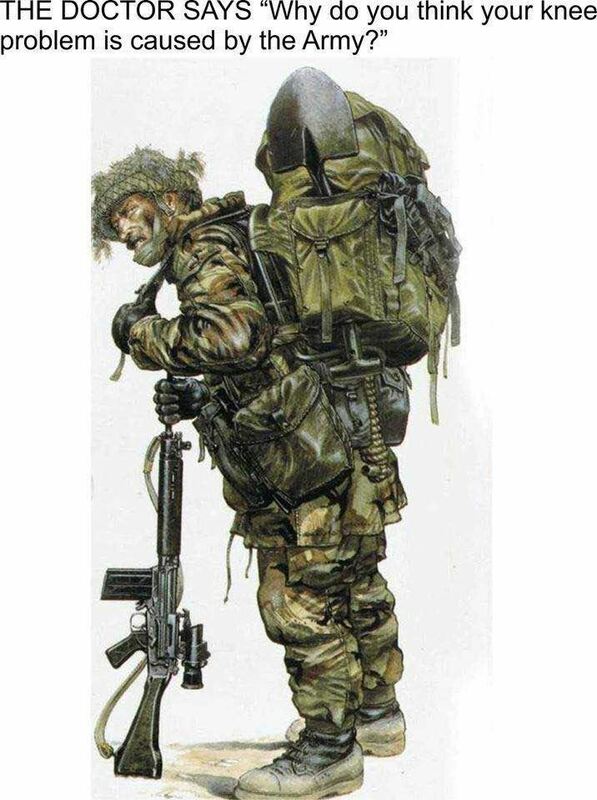 I joined the army in 1960 with the R22eR, I did my basic training in at the Quebec Citadelle In Quebec City. I was posted to Valcartier with the 1st. Battalion. I served in Cyprus in 1964. I transferred to 2 Bn.R.22eR and went to Germany in 1965 until 1967. I went back to Cyprus in 1969 and in 1971. I transferred to the music branch in 1971 and was with the Regimental Band in La Citadelle until 1977. I served with the RCA Band in St.Hubert until 1978 and was transferred to St,Jean as Band Master until 1981.I transferred to the music branch du R22eR until 1984. I was posted to Germany in charge of 1erBn R22eR until 1984. I was again posted to Germany in charge of 1eR Bn R22 Band called La Clicque until 1991. I was posted to the Naden Band in Esquimalt BC until 1994. I then retired from the regular force and joined the 5th BC Field RCA band until I aged out in 1997. I joined the CIC in 1999 as a 2nd Lt. and retired as a Captain 6 at the ripe old age of 65. During my retirement from the Reg. Force, I worked as a Home Support Worker for five years and then joined the Commissionaires for nine years. I worked in a French School as a Music Teacher for fifteen months .I am now going back to being a Commissionaire again. My wife passed away on January 1, 2013 so I am now a widower after 46 years of marriage. · Our membership management system is now on-line. For renewals the system helps in two ways: first, the system will automatically send a number of email reminders to those whose membership expires at the end of the year, and second , it gives you the ability to renew and if you want ,pay on- line saving you the cost of paper and postage. · For those who normally remit through their unit or prefer to send a cheque via Canada Post, nothing has changed. · Dues will remain at $20.00 per year. · What do we do with your $20.00? The biggest expense is recruiting and membership administration. Board members attend meetings and functions with Federal Government and Veterans Organizations at their own expense. The minister of Veterans Affairs, the Honourable Julian Fantino, accompanied by the new Deputy Minister, General(ret’d) Walter Natynczyk hosted a Stakeholders Meeting of Veterans Organizations at La Citadelle in Quebec City on November 19th. The meeting which was chaired by the Deputy Minister was the most open and positive meeting in the history of Stakeholders Meetings. For the first time ever attendees were asked for agenda items and there was free exchange of discussion and presentations between veterans and the staff. · Principals to be followed are: Care, Compassion, Respect, and Communication. · The change in attitude was emphasized by the move to the conduct of quarterly Stakeholder Meetings. ( The last one was 18 months ago) Meetings will be moved around the country. · We must work together and avoid confrontation over various issues but emphasized that the constraint will always be money. · The new Assistant Deputy Minister spoke to the changing attitudes of many aspects of the benefits application process. Some conditions will be viewed as a given–such as hearing loss for Artillery Vets, bad knees for Airborne Vets.etc. There will be an identification of conditions that are akin to specific military trades/functions. For these, VAC will be streamlining the application process and will give the benefit of the doubt to the veteran.Details of supporting document requirements were not mentioned. · Our President, Gord Jenkins, stressed that the 14 recommendations submitted to the government have been studied to death, thus there should be no need for further study. It is imperative that the government get on with the implementation of the recommendations. · The tone set throughout the meeting was very positive; most left cautious optimism. We must now wait and see if this change is real. I have included a few paragraphs from Gord’s Year End Report. Veterans: This has been a monumental year for the NATO Veterans Organization of Canada and I know I need not articulate all of our advocacy efforts in getting the attention of our elected officials and the media. That said, I will put aside for the moment, the lack of implementation by the government to the fourteen recommendations of the House of Commons Standing Committee on Veterans Affairs and the scathing Auditor General’s report on VAC. I can only say that we have a lot to be proud of and also a lot to look forward to in spite the glacial speed at which the government and the bureaucracy work. As a team, we have approached the Government, Members of Parliament,( of all political stripes and persuasions), the media, colleagues, stakeholders, and partners in drawing to their attention the significant and ongoing plight of veterans and it is quite apparent that the climate for change is fast approaching and we must continue to influence this change on behalf of all veterans and particularly the Modern Day Veteran. –Please help a veteran this holiday season–we are all brother in arms. Having just moved into his new office, a new colonel was sitting at his desk when a private knocked on the door. A task force is studying our Regional Organizational Structure and will bring forward a report to the Board of Directors. In January and February the BOD will be analyzing the type of structure that will enable us to continue to grow and be a national voice for veterans. · If you feel that units can be of value in promoting our Mission ,Goals and Objectives, what are some places or areas that we might target for new units? · Should we consider moving from a Regional Organizational Structure to a Provincial Structure which may provide opportunities for better communication links between units and individual mamembers? · What topics or types of speakers would generate a good turnout if an event were to be held in your community? Our Mission: To speak for modern veterans of the Canadian Armed Forces, in order that they may receive the support they deserve from ourcountry. · Advocate to government, particularly through VAC, in order to influence services and programms for veterans and their dependents. · Educate politicians at all levels, community organizations and ordinary Canadians on the needs of injured, frail and needy veterans and their dependents. · Maintain liaison and when possible collaboration with other veterans groups. · Engage veterans in all regions of the country, seeking their input on issues needing attention,and educating them about their rights and benefits. In the last edition, I invited you send in any anecdote relating to your military career that you woud be willing to share. Gerry Sullivan who is a Regional Contact in the Toronto Area sends this interesting Naval Exercise anecdote. Note: the picture to accompany “Abandon Ship “ is attached. In July, 1951, the Magnificent was on NATO deployment with the Royal Navy, Mediterranean Fleet under the command of Lord Louis Mountbatten. Off the coast of a Greek Island, Mountbatten ordered,”Abandon Ship duty watch stand fast.” At that time we had been issued with a new type of life jacket (Mae West) that was secured around the waist and when inflated it was pulled up over the head. 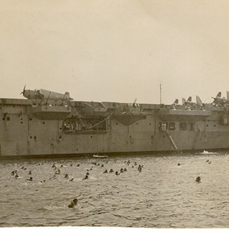 Apparently Mountbatten had the habit of pulling this off from time to time when he felt that it was time for the “Colonials” go for a swim. I went off on the starboard side. As it was July and the Mediterranean was warm and fresh water was rationed as sea,(bird baths were the order of the day) the swim was quite refreshing. As this will be the final edition of Regional Round-Up for this calendar year, I would like to wish you and yours Health and Hapiness in the New Year. As the Minister of Veterans Affairs, I have had the honour to hear countless inspiring stories from Veterans about their personal experiences in serving our great nation. The ways in which these proud men and women can recount the details of both the good and the bad moments, their trials, sacrifices and victories, shows all of us how meaningful and important wearing Canada's uniform is to those who have made the choice to protect our collective rights of freedom, democracy and the rule of law. The level of detail these stories provide simply baffles the mind considering their memories are dating back, in some instances, over 75 years. Our Veterans, both historical and present day have accomplished so much, and our country and our Government stands proudly and firmly behind them. Earlier this year I had the opportunity to welcome home the last contingent of Canadian soldiers from Afghanistan, joined by Canadian Veterans of Peacekeeping missions in Cyprus and beyond. Watching different generations of those who served come together, all of who made great personal sacrifices during difficult conflicts spanning the globe, was one of many highlights for me in 2014. What a fitting year that our Government rededicated the National War Memorial with the inscription of the dates of the war in Afghanistan and In Service To Canada. For the first time, all Canadian Veterans, from those who fought in the Great War to today's modern Veterans, are commemorated at our National Memorial exactly as they should be. Also among the highlights was the opportunity to make two trips abroad to commemorate the service and sacrifice of Second World War Veterans. Visiting Normandy with Ernest Côté and over 100 Veterans who served on D-Day as well as taking part in the Canadian delegation to Italy with 28 Veterans who fought during the Italian Campaign allowed our Veterans to hear directly from those who remember Canadian soldiers fighting for the freedoms we enjoy today, and heard our collective appreciation of their accomplishments, bravery and sacrifice. The gratitude expressed to me by the Veterans who could make these journeys back to where they fought for their country was incredible. Never have I been so humbled to hear this, when they are the ones that deserve our most heartfelt thanks and gratitude. The event that reached the most prominence of the year, and possibly the most touching of my life was how Canadians paid tribute to our Veterans this Remembrance Day following the shocking and cowardly terrorist attacks that occurred on Canadian soil. According to the Legion, over 2 million additional poppies were given to Canadians this year over last year. Millions of Canadians reached out to the families of the soldiers, who until then had been complete strangers, and welcomed them into their family. Emerging from those dark days was a renewed sense of family in our country, one that had not been displayed in such an overwhelming way in a long time. As 2014 draws to a close I want to thank, first and foremost, the brave men and women in uniform for their service, both past and present, as well as the dedicated Veterans stakeholders, many of whom partnered with the Government this year to advance mental health treatment and reduce bureaucratic red tape. Your ideas have prompted new legislation to move qualified, injured Veterans to the front of the line for Federal Government jobs; new training and learning opportunities; reduced the number of pages it takes a Veteran to apply for benefits; set up outreach capabilities so we can serve Veterans in need immediately; and helped to bring together Canada's academic community to focus on the issues facing Veterans and their families. I must also thank the members of the Standing Committee on Veterans Affairs for their report on moving forward with the New Veterans Charter. As a direct result of our hard work, our Government has implemented measures to close the gap between National Defence and Veterans Affairs; opened 7 Military Family Resource Centres to medically releasing Veterans and their families; more than doubled the number of counseling sessions for family members; and invested in front-line mental health clinics in 8 communities with more to come in 2015. Our job at Veterans Affairs is not done. The job will never be done, so long as we continue to serve hundreds of thousands of Veterans, Veterans widows and family members from across Canada. Canadians, but more importantly Veterans and their family members, need to know that we will never rest and will always look to make improvements on how they are served by their Government. I am pleased at the progress we have made over the past year and am fully committed to seeing further progress and improvements as we move into 2015. We will continue to build on our solid record by identifying and addressing any gaps that exist for Veterans and their families in service delivery, continue to invest directly into benefits, and bolster front-line services while reducing needless bureaucratic processes. More work needs to be done and will be done by our Government to ensure that Canadian Veterans and their families have every support that they need.